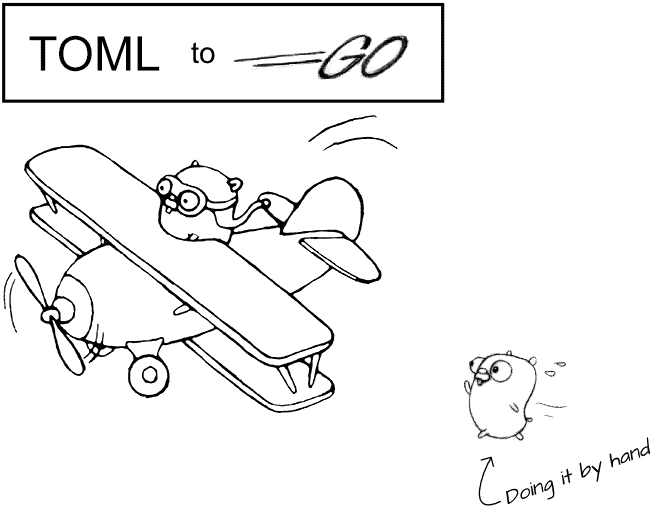 This tool instantly converts TOML into a Go type definition. Paste a TOML structure on the left and the equivalent Go type will be generated to the right, which you can paste into your program. The script has to make some assumptions, so double-check the output. For an example, try converting TOML from the SmartyStreets API. The Go Gopher artwork is a derivative of that by The Go Blog.